On one of our days away, we went with our host family to Kawartha Settlers’ Village that’s located just outside of Bobcaygeon. In 1990, the dream of establishing a museum to preserve history and the development of the area became a reality when a small group of people calling themselves the Kawartha Region Arts and Heritage Society convinced the village of Bobcaygeon to lease them the land to establish the Kawartha Settlers’ Village. Follow along with me on our tour of some of the buildings. Here’s the map that’s in the program booklet. It’s an easy walk through for visitors of any age. The receptionist at the main building gave each of our granddaughters a card showing pictures of things to look for in the village and a crayon to mark off items as they found them. It became a game for all of us to help them find the items. Quilters meet regularly in the Wray House to learn their craft. There were many interesting quilts hanging in this home. Our granddaughters interest was limited in some areas due to their ages of 6 and 8, although the adults could have spent more time. Another time perhaps. The girls did enjoy wandering through the village and checking off the items on their card. They awaited a prize at the end. The firehall housed an old engine and hoses and hats. The building is a replica of the original Bobcaycaygeon Fire Company station. or even these images. Not simply drawings but carvings that someone had made. And a bit of fun at the end of the Kawartha Settlers’ Village. The girls showed their cards at the admission centre and got their little prize and could keep the cards to remember the visit. If you’re in the area this summer, go to the village and take the self-guided tour. It was well worth the time and price of admission, which was quite reasonable. My mother once called me the historian of the family and I wasn’t sure why. Was it that I asked more questions about events and people? Was it that I displayed keen interest in the stories of my grandparents? Wherever it began, it has most definitely become true, and that’s one development I’m glad about. The year of my parents’ 60th anniversary was upon us—2009—and my mother and father wanted to leave a legacy for their family. Mom wasn’t speaking in dollar values when she shared their wish with us, but of stories and values they’d shared. What would it mean to us after they were gone? Mom had gotten in touch with a writer she knew who was doing family stories for other folks. She engaged the woman to help them get started. The challenge became how to tell the stories. What would be included? What would be left out? Each of my siblings and I wrote some pieces of what it had meant to us growing up in the country, of where we were at the time in terms of our immediate families and our employment. In the end what my parents shared of their stories, and what we added, is of great value. The first copy was ready for their anniversary day and more produced later. Sister Kim was the layout specialist and we all agreed she did a wonderful job in arranging the photos with the text. Her layout experience with her day job and a computer program capable of handling graphics and photos was a great asset. Nine years later, Dad has died and the family has further blossomed with more great grandchildren for Mom and another great granddaughter about to be married this summer. 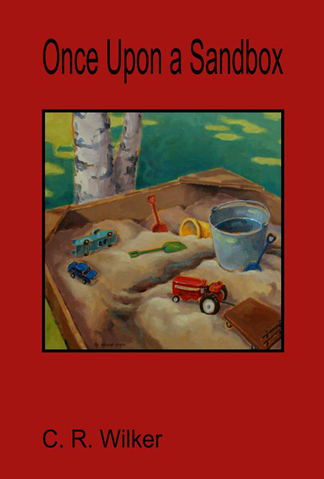 In between those years, I published my memoir, Once Upon a Sandbox, of growing up on a family farm in the 50s and 60s, and then last year, in memory of Dad, Harry’s Trees, my picture book was published, which is not about me, but my Dad’s passion, beyond his family (always very important to both my parents).